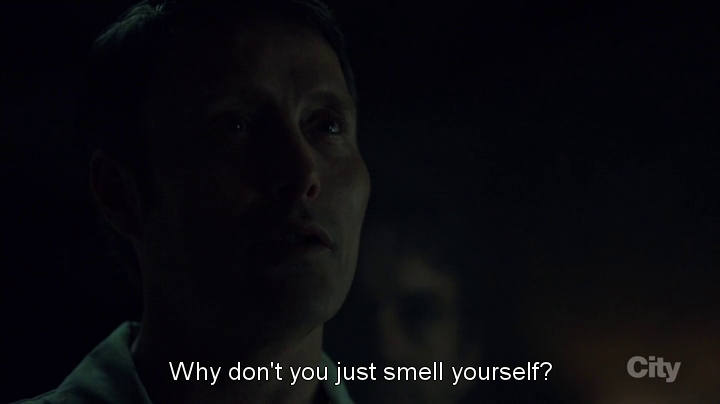 This conversation between Hannibal Lecter (Mads Mikkelsen) and Will Graham (Hugh Dancy) focuses on the sense of smell. 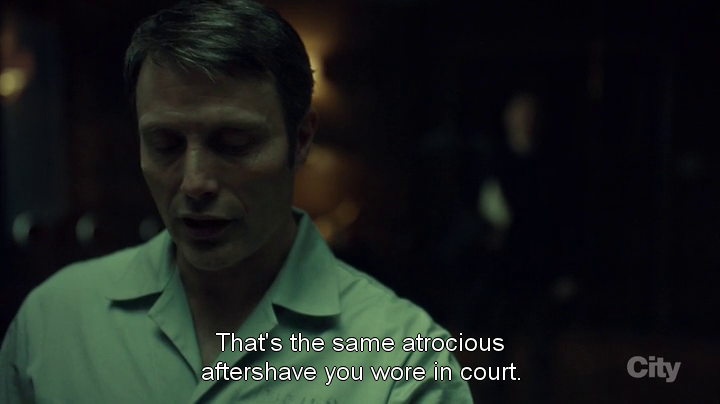 They actually had similar conversations in the first and in the second seasons: the topic is always Will’s “atrocious after-shave”, “something with a ship on the bottle”, that is Old Spice. 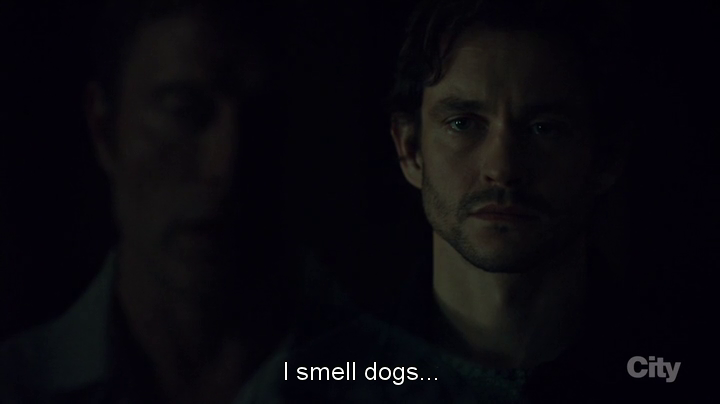 This time there’s something different, though: Hannibal doesn’t know what has happened in Will’s life after their adventure at Muskrat Farm, but his exceptional sense of smell gives him an idea. 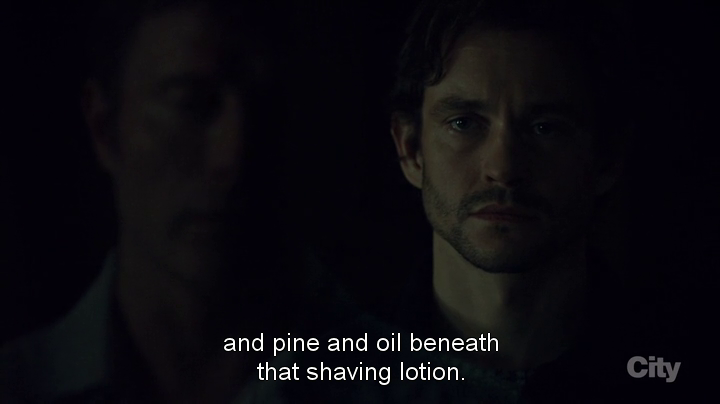 “Beneath that shaving lotion” he can smell “dogs” (obviously), “pine” (Will lives in a house in the woods) and “oil”. 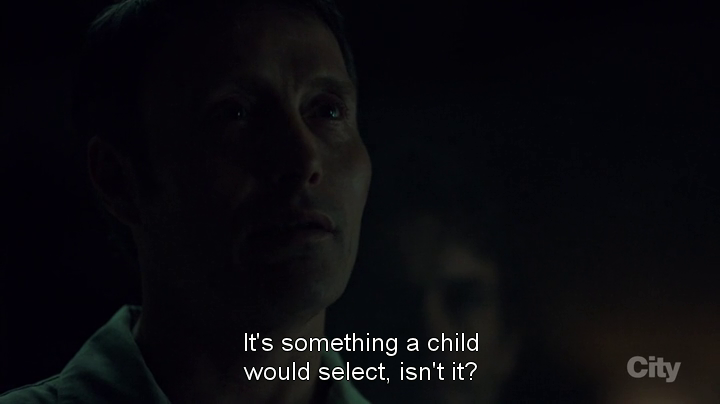 Furthermore, he comments on the person who has possibly given him the after-shave as a gift: a child. 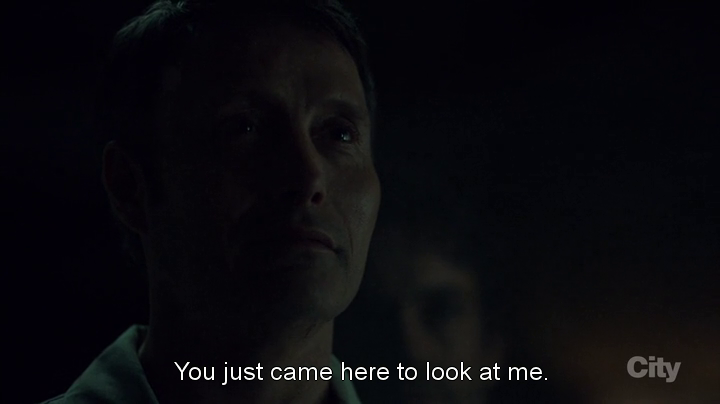 Hannibal is right again: Will now lives with Molly and Willy, her son from a previous marriage. 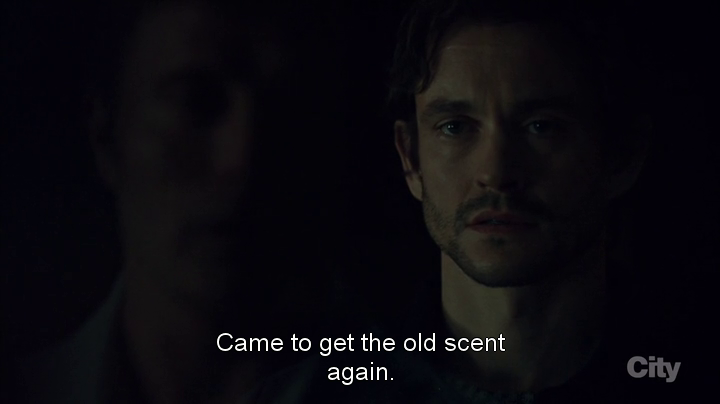 The last part of the conversation is heart-breaking: he tries to uncover Will’s desire to see him again, to “get that old scent again”, but the apparent lack of reaction from Will brings out the spiteful “Why don’t you just smell yourself?”.